Landownership has always been a key part of Black self-determination, a collective effort that gathers the strength of the community to identify their own needs and work together for positive change. Black spaces in Durham, such as the “city within a city” of Hayti, built a sense of unity and security that allowed Black culture to develop and made Durham a beacon for Black people across the country. 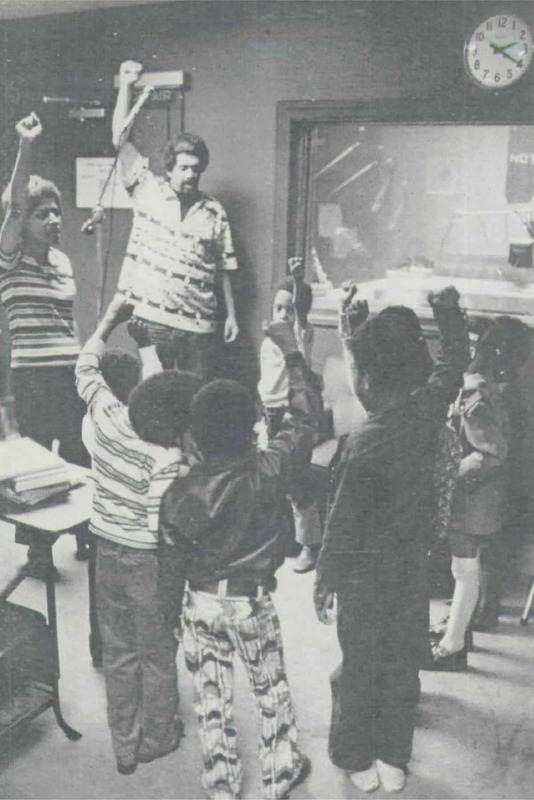 Children participate in a radio workshop at Durham’s Black-owned radio station, WAFR,in 1973. 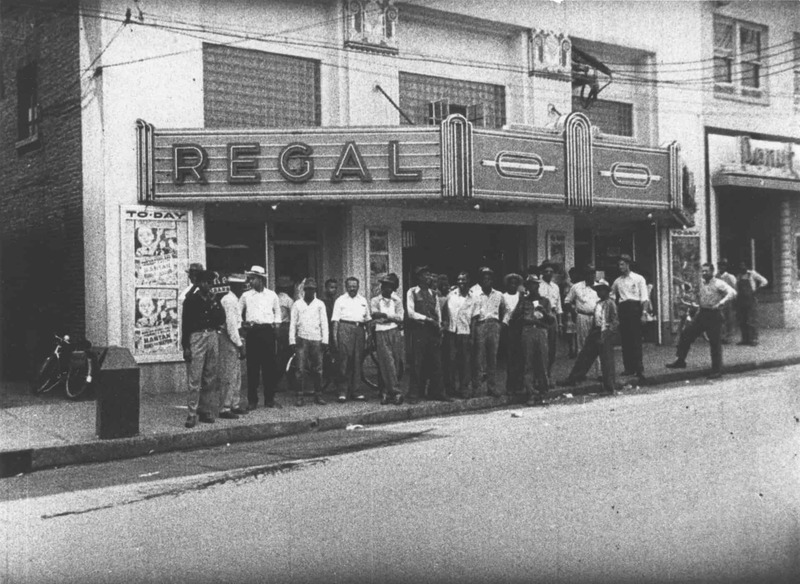 Hayti was an essential stop for Black activists, entertainers, and academics travelling the country – connecting Black Durham to broader cultural and political movements. 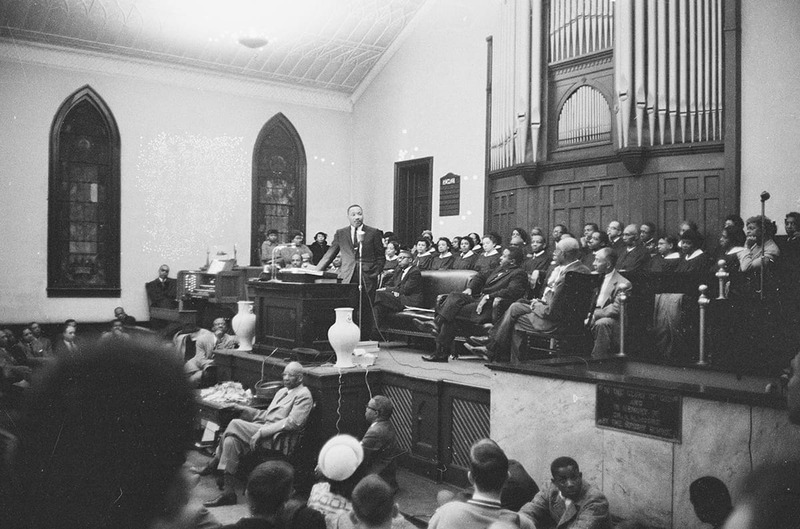 Martin Luther King Jr. speaks at the original White Rock Baptist Church in 1960. 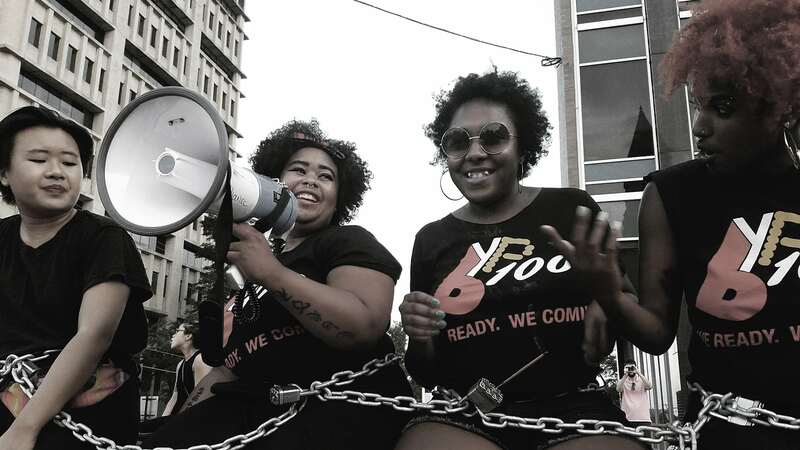 Members of BYP100, an activist member-based organization of Black 18-35 year-olds, at a Durham Beyond Policing rally in July 2016. Black self-determination, through community control of Durham’s city budget, is one of Durham Beyond Policing’s demands.